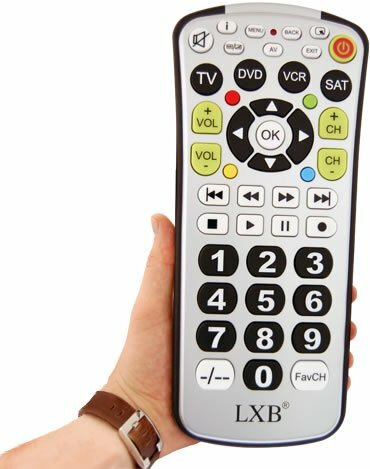 Check out this jumbo size remote control is almost one foot long and equipped with 22.2mm square buttons. Its practically indestructible and said to have all the bells and whistles one would expect from a high end remote. The built in shock absorber is great for those accidental drops, and the rubberized edges will make sure your remote, and furniture is protected. You wont lose this down the back of the sofa, and you wont need your glasses to find it. The Ultimate Mega Remote is yours for £19.95 (about $40 USD.